Whitton Amateur Radio Group | Friday Night is Club night ! 8-10 pm local. The group has an enthusiastic membership and has a wide range of Amateur Radio related interests. LF (73 and 136kHz) to HF. Satellite to Lasers and homebrew designing and building. We are always pleased to meet fellow Radio Amateurs. If you find yourself in the Whitton area, please do drop in for a drink and a chat. If you are from outside the area or an overseas visitor, we would still like to hear from you by email. Our Secretary’s email address is below. Let us know what you think of our website and if your club has a website too, send us the details. We will be happy to post them on our pages. 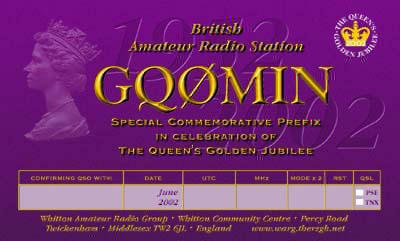 The Whitton Amateur Radio Group operates an HF station with the call G0MIN or GX0MIN. 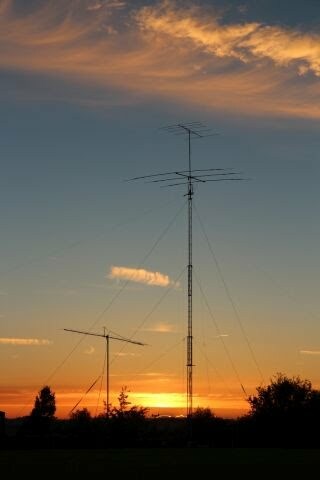 We have held the contest callsign M2W since 2000 and regularly participate in HF contests. CQWW SSB is a favourite and the group has operated the October event from Whitton using M2W and from DX locations during the years, with the calls 9H0WW, ZC4DX, C56DX, A45ZN. The IOTA contest (Islands On The Air) has seen the call M2W in use every July in recent years.